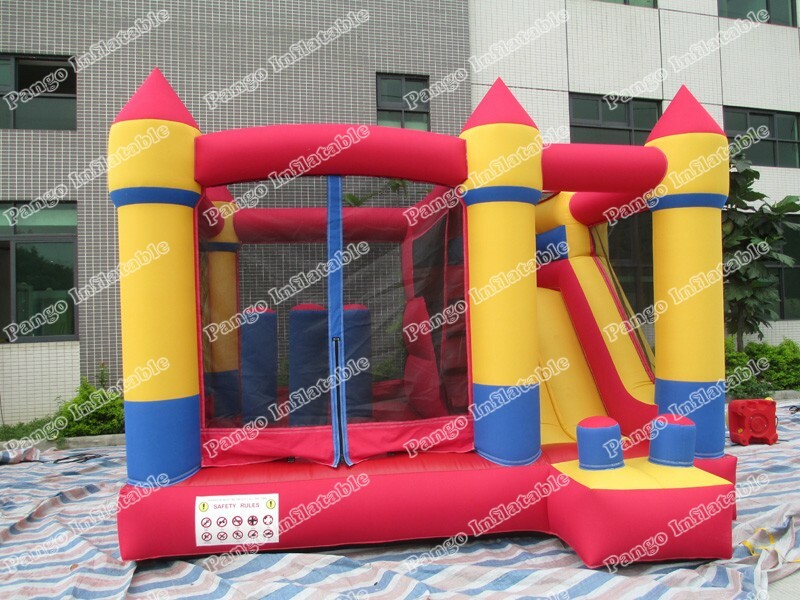 The inflatable castle with slide is a kind of inflatable amusement equipment with the appearance of castle. It is made of PVC net with environmental protection and soft double-net double-side clip net. In the case of sealing, the air blower is used to continuously supply air to maintain the product shape. 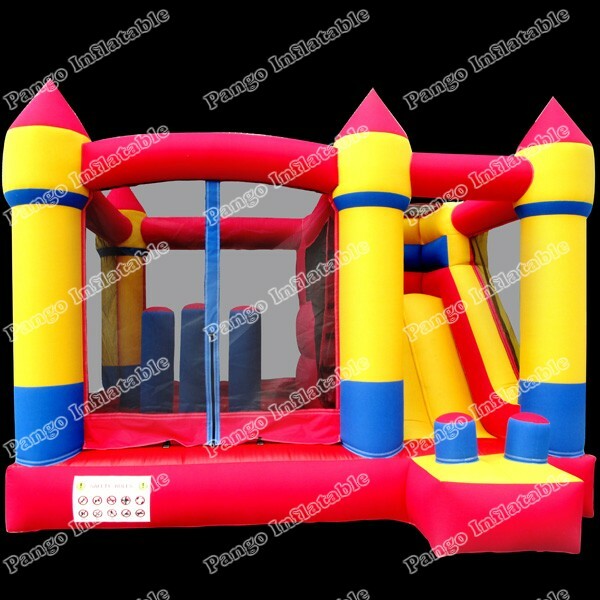 The modelling of the inflatable castle with slide is designed according to the market popular cartoon, because its cuety, unique modelling is loved deeply by the child. The inflatable castle with slide is a new generation of entertainment facilities. Our design concept is derived from the characteristics of children. It contains slides, various animal shapes, rich entertainment items, and is loved by children. Inflatable castle with slide has security, comprehensive, ornamental, novel, bright color, durable through the scientific three-dimensional combination, made of super waterproof cloth, this is a comprehensive extremely strong entertainment toy.Through the novel activities such as turning, rolling, climbing, shaking, shaking, jumping, and drilling, the player achieves the purpose of developing intelligence, exercising the body, and enjoying the body and mind. Inflatable castle with slide is great fun for children today.